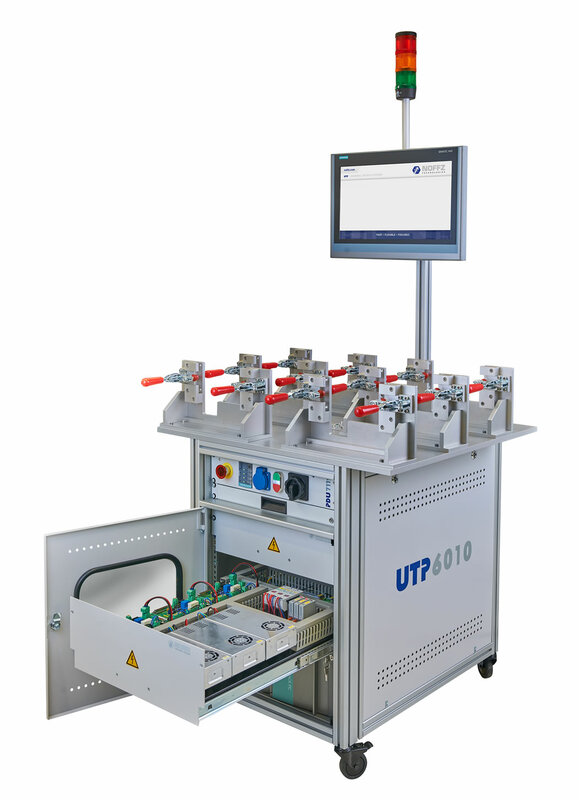 The UTP6010 is a scalable tester system for functional testing, comprising an integrated main switching unit, a keyboard drawer and a swivelling monitor. 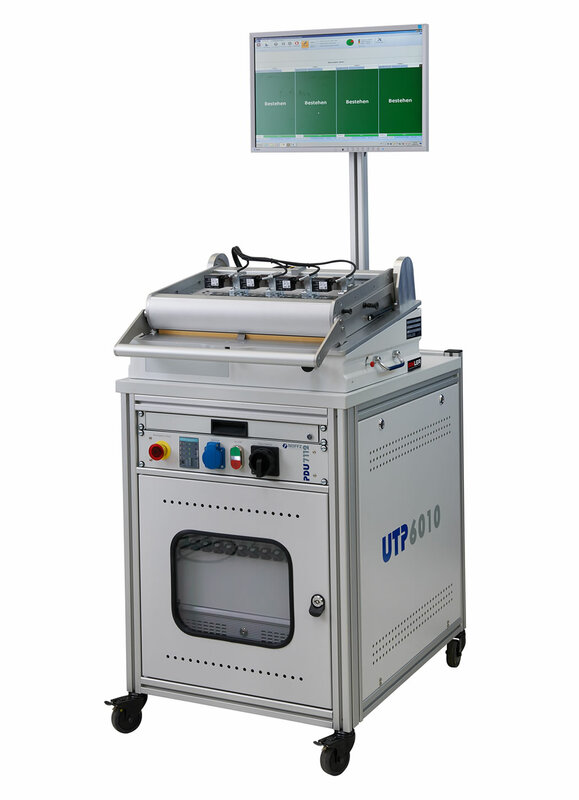 It is the reliable, modular, low priced UTP starter kit. 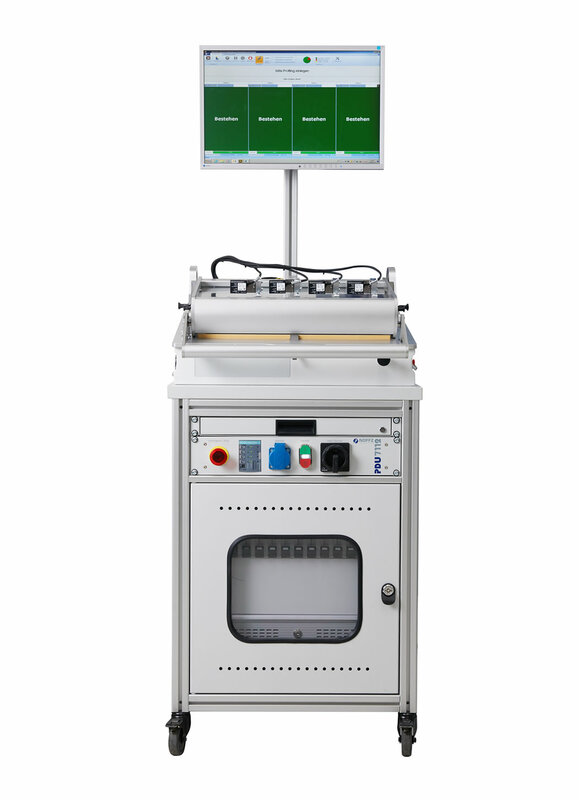 The system is suitable for tester applications, where space-saving devices are required, because its construction height is only 12 HU (excluding keyboard drawer and main switching unit). The system can be quipped with a testing adapter or can be used as a stand-alone solution. In both cases it can be combined with a sUTP 4510 system. In this combination it can be used as a testing system for small applications with a minor number of channels and little complexity. 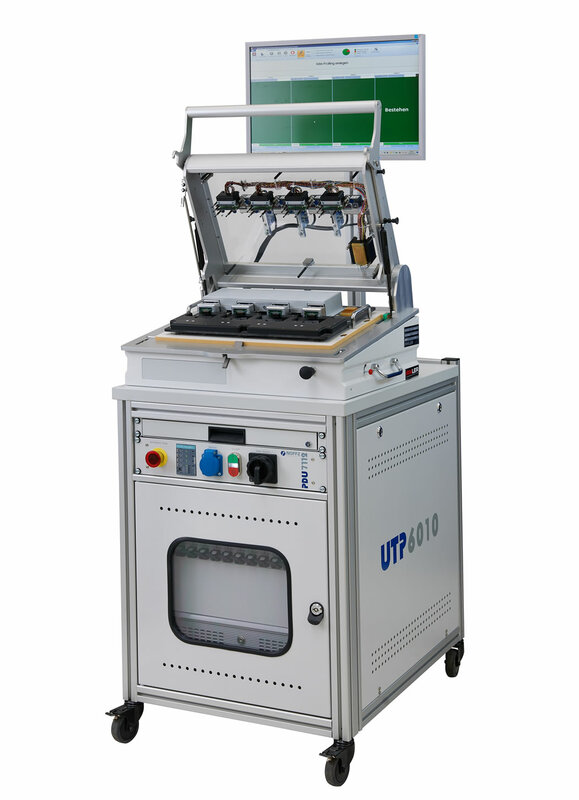 It can be extended by a PXI system so that it is also suitable for Incircuit- and functional testing of devices with a medial number of channels (250 max.). 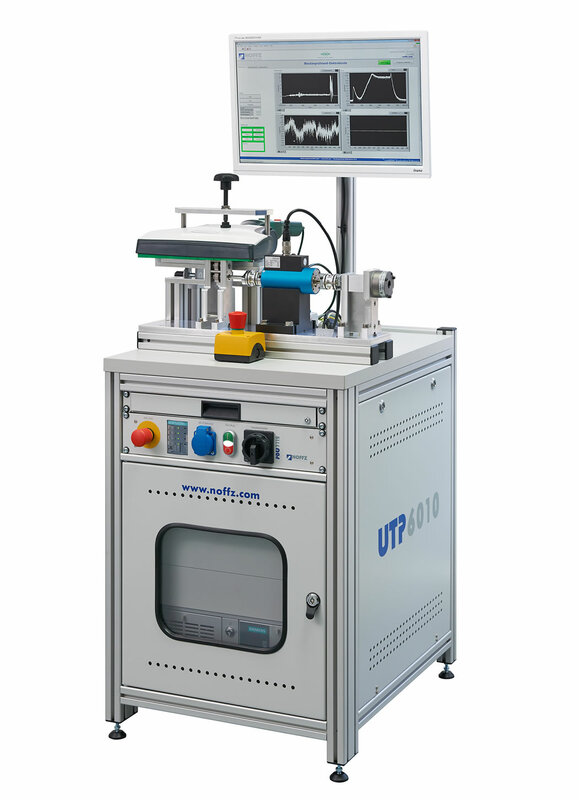 Combined with an additional SMTA the UTP6010 becomes a small but fully-fledged functional tester system, suitable for vision and audio tests. Via the SMTA, devices under test and electronic modules can be connected easily. Additional measurement equipment – such as DMMs – and interfaces (Firewire) can be integrated as well. 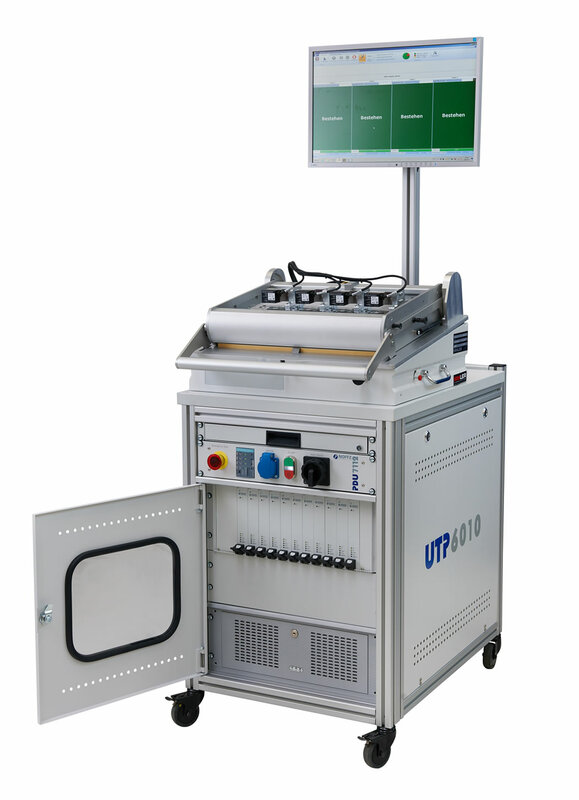 The UTP6010 is a small, modular and low priced starter kit belonging to the versatile UTP tester series. It can be used for implementing scalable testing applications. In its basic configuration it is suitable for functional testing of devices with less complexity and a low number of channels. 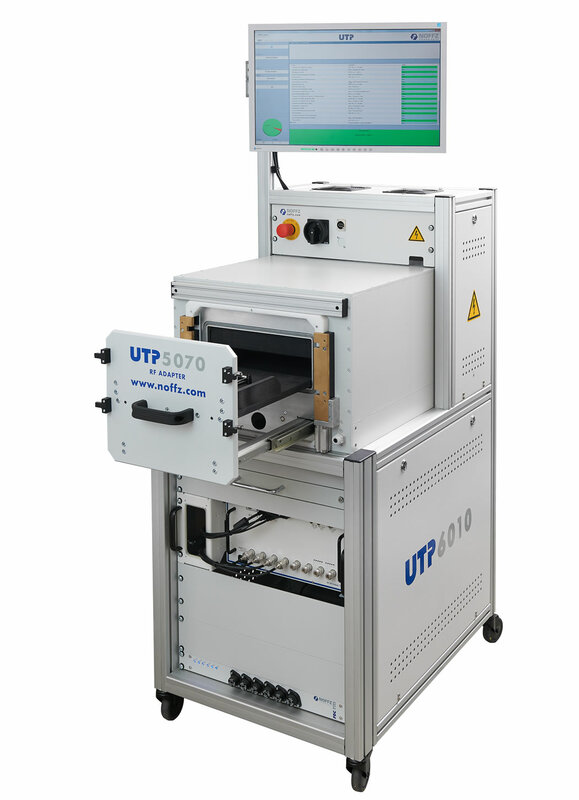 If required, it can be upgraded for vision and audio testing of devices with a higher number of channels and more complexity so that the UTP6010 is a modular and future-proof investment in testing equipment.